In 1988 I purchased my first car, a trusty little Ford Laser hatch (that I believe I made reference to in my second post back in April). Suddenly I had freedom from bussing it to work, or relying on a lift, and more importantly with a state of the art cassette deck on board I had the freedom to create my own soundtrack to accompany me through the nightmare of peak hour traffic. Many of the songs I’ve already mentioned on this blog were regular companions, and over time I started to accumulate so many home made cassette compilations that I needed a place to store them (other than the heat attracting glove compartment). So I adapted a small eski (cool-box) for the purpose, which held somewhere around fifty audio cassettes. I’d regularly rotate them and update the tracks as I bought new music - I guess much like people do today with their i-Pods or MP3 players, except a good deal more cumbersome. 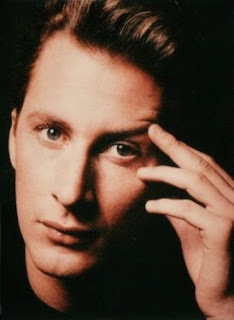 One of my favourite tracks from 1988 was the soothing pop ballad ‘Wonderful Life’ by British singer Colin Vearncombe, better known to music fans as Black. Needless to say ‘Wonderful Life’ received a regular workout on my own personal in car FM station, most often when I needed something to calm the nerves after eight hours in the trenches at work. It’s the kind of song that reassures the soul and injects a sense of ‘all is right with the world’ to the mind, regardless of life's troubles - at least it did that for me. Even the chaos of city traffic failed to penetrate the cocoon of serenity created by ‘Wonderful Life’. In the twenty years since I’ve discovered songs that have been as effective in sending me to my own virtual ‘Rancho Relaxo’, but none have proven more comforting. ‘Wonderful Life’ had actually first been released as a single in Britain in September 1986, and was originally recorded back in 1985. Vearncombe’s first gigs and single release under the moniker of Black dated back to 1981. Actually Black was technically a band during these formative years, but was essentially a pseudonym for Vearncombe’s singular artistic expression. The Liverpool born singer/songwriter issued his first single ‘Human Features’ on the independent Rox Records label. It attracted enough attention to sell out its limited run of 1000 copies. Via a meeting with Wah! Heat front man Pete Wylie (see future post), Black came to release a second single ‘More Than The Sun’ during 1982 on the Wonderful World Of label. Black then started collaborating with musician David Dix (of the band The Last Chant) and soon scored a record deal with WEA. The association with WEA proved more a source of frustration than anything and yielded only one new song with ‘Hey Presto’ in 1984, prior to WEA dropping Black from their roster. During the ensuing two years Black penned and recorded the aforementioned ‘Wonderful Life’, and originally released it on the independent Ugly Man label in 1986. Sales were positive, as were the reviews, but Black decided to pull the single from release with a view to attracting a major label to back the song. Both RCA and A&M Records were interested enough to offer a two album deal, and Black opted to go with A&M. Rather than re-issuing ‘Wonderful Life’ as his first A&M single, Black decided to test the big label waters with the song ‘Sweetest Smile’. It was a wise choice with ‘Sweetest Smile’ grinning all the way to #8 on the British charts in mid 1987 (OZ#87), and it meant he had a sure fire follow up single. A slightly reworked version of ‘Wonderful Life’ followed, backed by a very effective promotional video that perfectly captured the song’s charmingly melancholic sentiments. At the second attempt ‘Wonderful Life’ got its just reward peaking at #8 in Britain in late ‘87 and #7 in Australia in early ‘88. The song was the title track on Black’s debut album which similarly shot the singer to new heights of popularity (UK#3/OZ#22), going on to sell over 1.5 million copies. The follow up singles ‘I’m Not Afraid’ (UK#78) and ‘Paradise’ (UK#38) didn’t quite match the wonder of ‘Wonderful Life’ but helped to round out a year of considerable accomplishment for Black. When considering the title of his sophomore album the singer must have thought what’s Black without a bit of comedy, hence the ironically titled ‘Comedy’ (UK#32/OZ#71) in late 1988. I purchased the lead out single ‘The Big One’ (UK#54) which must have slipped under the radar for the most part here in Australia. Though a critically well received album, ‘Comedy’ didn’t have Black’s accountant in fits of joyful laughter, with its follow up singles ‘You’re A Big Girl Now’ (UK#86) and ‘Now You’re Gone’ (UK#66) reinforcing a newly acquired middle of the chart road status for Black. 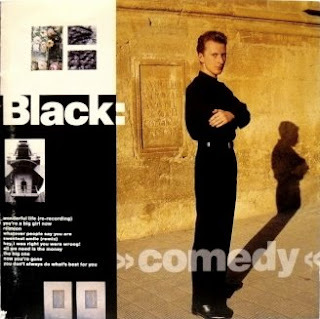 With the relatively disappointing commercial returns of ‘Comedy’ affecting relations between artist and label, Black’s self-titled third album (UK#42) was released in mid 1991 amid an increasingly acrimonious environment. As the single ‘Feel Like Change’ started to make inroads into the British charts (#56), A&M Records decided to pull it from release. ‘Here It Comes Again’ (UK#42) and the third single ‘Fly Up To The Moon’ (a duet with Sam Brown - see previous post) failed to turn things around for Black, and soon after the beleaguered artist parted company with A&M. Colin Vearncombe AKA Black then decided to take control of his own career again by forming his own recording label Nero Schwarz Records. ‘Are We Having Fun Yet?’ was released in 1993 and licensed to record companies across 19 countries for the purposes of distribution. Worth noting was the innovative marketing campaign that supported the album. Black made available a library of promotional video material that could be utilised by each of the various distribution labels to accompany a single release of any track that they felt would suit their own market. In theory it had real potential, and in these days of albums being released online with pretty much any album track being capable of charting based on an individual market’s taste (think the variations in the i-Tune charts worldwide), it was a concept way ahead of the curve. Sadly, in 1993 the concept ‘download’ was a glint in Silicon Valley’s virtual eye, and single releases such as ‘Don’t Take The Silence Too Hard’ and ‘Just Like Love’ failed to reinvigorate the flagging commercial fortunes for Black. 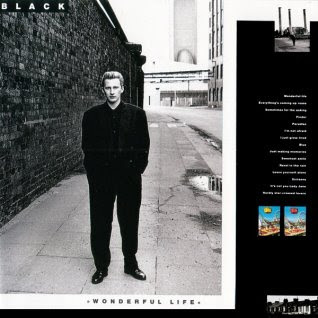 Ironically Black’s biggest commercial hit ‘Wonderful Life’ had new life breathed into it during 1994 (UK#42) when it was featured in two separate marketing campaigns on British television, for Standard Life Assurance and Cadburys. It was ironic because Black’s music career was in the first year of a five year long hiatus, which wouldn’t end until September 1999, and even then under a different name. 1999’s ‘The Accused’ was released by Colin Vearncombe under his own name, and again on his own recording label. It didn’t sell any great numbers but did serve to convince the talented singer/songwriter to pursue his musical endeavours again in earnest. An album of acoustic tracks recorded live in studio followed (‘Abbey Road Live’), and Colin Vearncombe then toured as a truly solo act, with no backing band in tow. He built up a new audience base, and was discovered anew by fans of his earlier career work. Vearncombe would have to be one of the first artists to release an album exclusively via the internet, when he issued ‘Water On Snow’ on his website in late 2000. A live recording (‘Live At The Baseline’ - 2001) and a double album ‘Smoke Up Close’ (2002) rounded out a prolifically productive period for Vearncombe, probably balancing out the preceding five year period. 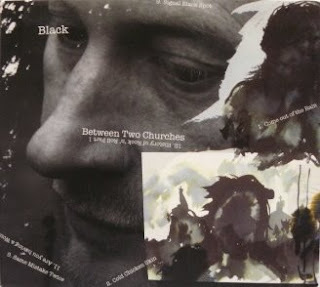 The disillusionment surrounding his last couple of albums as Black had faded and by 2005 Vearncombe was comfortable to adopt the front of Black once again for the release of the ‘Between Two Churches’ album and accompanying ‘Two Churches’ EP. Black had survived the trials and tribulations of his own ‘wonderful life’ and had journeyed full circle back to the beginning of things - though a fresh beginning, and one with the benefits of wisdom and maturity to steady the ship. Black’s latest album was released in 2007 and was aptly titled ‘CV + Road To Nowhere’, reflecting the mindset of a singer at ease with his past endeavours and embracing of future adventures. I should mention that in 2005 British singer Tina Cousins released a techno-dance version of 'Wonderful Life', which ended up reaching the top 20 here in Australia. Actually, her take on the song isn't as tragic as it might seem. Colin has just released a new song two days ago, called “Grievous Angel". Have you heard of it? It is so beautiful, sesitive...and melancholic! Check it out! You may like it as well! It's Five O'Clock - Time For Echo Beach!